The word “Pi” meant “to play forward” and “Pa” meant “to play backward”. The pipa had a half pear shaped sound box, a crooked neck and normally 4 or 5 strings. The Pipa arrived in China in the 4th century AD from Central Asia and it’s history dates back more than 2000 years. Lai Ma Gates was born in Shenyang, China into a family of musicians. She started learning pipa with her father at age 5 and later, piano and composition. After graduating from the Central Conservatory of Music in Beijing Lai Ma became the performer, pianist, arranger, and composer for The Premier Song and Dance Troupe of Beijing. In 1992 she won “Hei Long Bei” National Composition Competition in China. 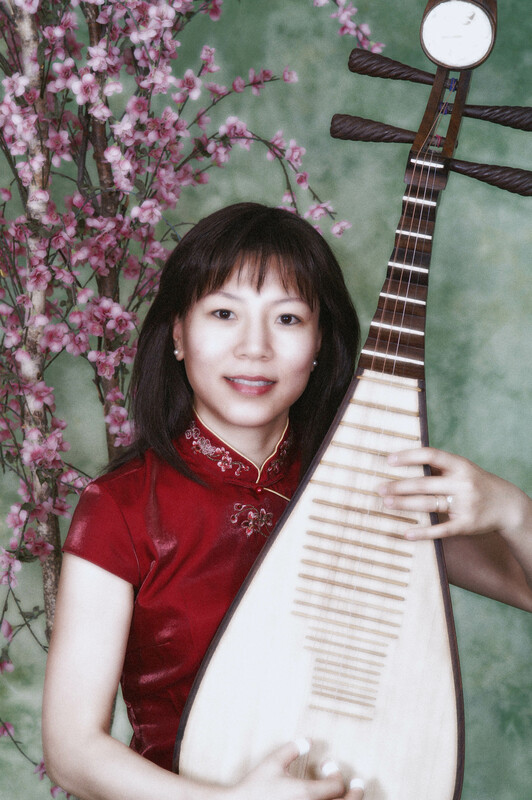 In 1996 she joined The Phoenix Chinese Art Ensemble as concert master and pipa soloist. Their group performed at the Phoenix Chinese Cultural Center during Chinese Week, New Year celebration and the Asian Festival. She also visited Valley schools to introduce Chinese culture, music history, and the Pipa as an instrument. In April of 2006 she was invited by the New Moon Orchestra in Pittsburg to perform as soloist at Carnegie Music Hall. In 2007 she had the opportunity to have her own concert for “World Music” in Phoenix, AZ. In February 2010 she will display her prolific skills in a new venue with the Chandler Symphony Orchestra in a pipa concerto combined with traditional Western instruments.